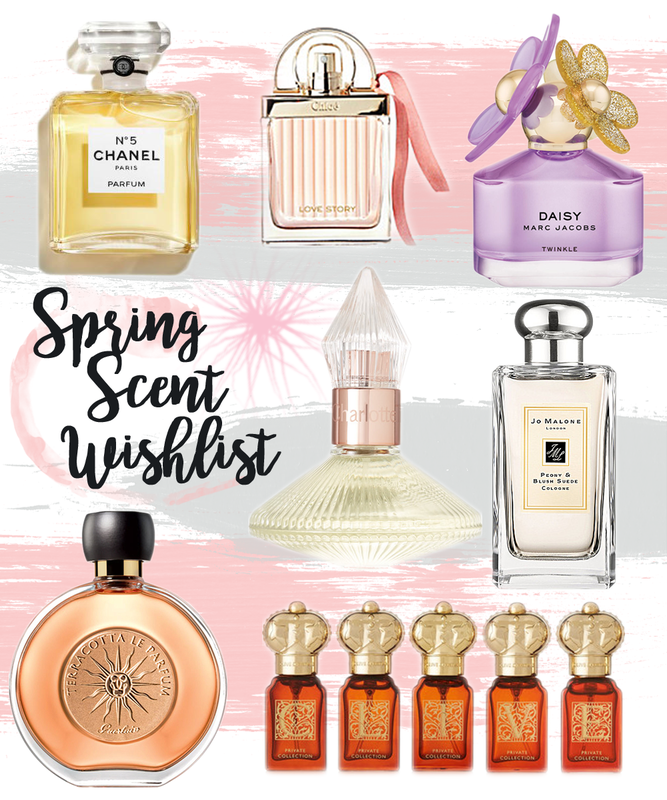 Only a few weeks ago I posted my Spring Style Wishlist, but today I thought I’d share a wishlist full of Spring Scents to keep me smelling beaut over the warmer months. I don’t know why but I feel like I have a definite switch of scents between Autumn/Winter and Spring/Summer. For me, colder months resonates with stronger, darker and sexier scents, while the warmer months call for some lighter, more floral scents. I’m not great when it comes to perfumes, you’ll very rarely see me shopping for perfumes for myself – I tend to wait until Birthdays and Christmas to ask for perfumes because as a student there are plenty more things I’d rather spend my money on! Finding a good scent for me is also a complete nightmare, I’m super indecisive when it comes to perfumes so I’d much rather leave the picking to somebody else! I’ve had a little hunt on the big wide web and narrowed down a few ‘Spring-esque’ scents that I’d love to give a try.. The Clive Christian Private Collection seems like the perfect perfume set for her. In the set comes Chypre, Floral, Fougere, Fruity and Woody. Chypre has top notes of Peach, with Jasmine and Vanilla too, which if that doesn’t scream spring I don’t know what does. We all know how much Jo Malone perfumes are raved about within the blogosphere, and I’m yet to own one. As I trawled through the site Peony and Blush Suede definitely stood out for me as a spring scent. A mix of peonies (the flower of all flowers?! ), red apply, jasmine, rose and gillyflower, I am sure to love this perfume. I feel like Chanel No.5 is such a classic scent. ‘Timeless, legendary, powdery floral bouquet’ and described as ‘the very essence of feminity’ I feel like this is a perfume that needs to be in my collection at least once in my lifetime! Marc Jacobs perfumes are one I have a lot of. I feel like as a brand, it is one I can always trust to have a great scent. In my collection already I have Eau de Fresh, Daisy Dream and Dot, although they’re all starting to run a bit short so another Daisy is definitely needed in my collection! Twinkle is described as a bright and playful floral green perfume for women that embodies the youthful energy of joyful Springtime, it’s like it was made to be in this wishlist. I got a sample of Scent of a Dream a few months back and I’ve been wanting the full version ever since. With top notes of Lemon, Peach and Bergamot, a floral heart of Jasmine, Violet and Tuberose, and woody base of Amber, Patchouli and Musk this is such a beautiful perfume that I’m just dying to get my hands on. Those are just a few of my top picks! What are your favourite scents for Spring? Send me your suggestions! *This is a sponsored post. This post contains affiliate links. "The three accessories you need this Spring"